Are you looking to improve your photography skills? Whether you are a beginner or a more experienced photographer, I can provide tuition to small groups or on a one to one basis where the training can be tailored to individual needs. With much experience in communication and coaching I can offer you expert tuition and advice in an informal and friendly way, helping you to develop your skills and technique. As an official Fujifilm X-Series Photographer I can also provide training on getting the most out of your Fujifilm system. As an official Fujifilm X-Series Photographer I can help you to get the most from your Fujifilm equipment with a day or half day in the field. You will be able to test the latest cameras and a wide range of both prime and zoom lenses to experience for yourself this superb system. Lightroom is an essential tool in today’s digital photography workflow, providing everything you need to organise, process and showcase your images in an efficient and professional manner. In this two stage process, I will teach you the skills you need to master this excellent programme and create images to be proud of. UNDERSTANDING LIGHTROOM Part 1 gives you a good understanding of Lightroom showing you how to set up on your own computer and how to import, organize and edit in the Library module. We also cover basic image processing in the Develop module. 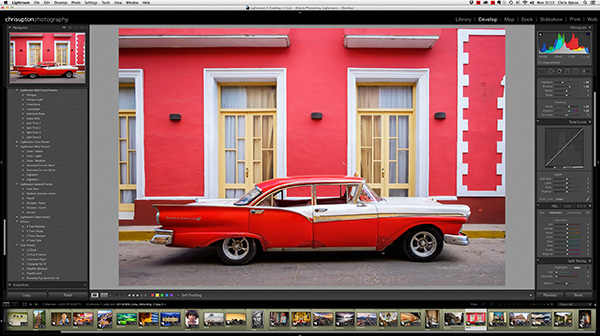 UNDERSTANDING LIGHTROOM Part 2 This course is all about exploring Lightroom’s image processing and output functions, including the Develop module, Printing, Slideshows and Web Galleries in much more detail.